alice girl with black bunny plushie! thanks so much! oh theyre cute in their chibi form! Crazy people as always lol. 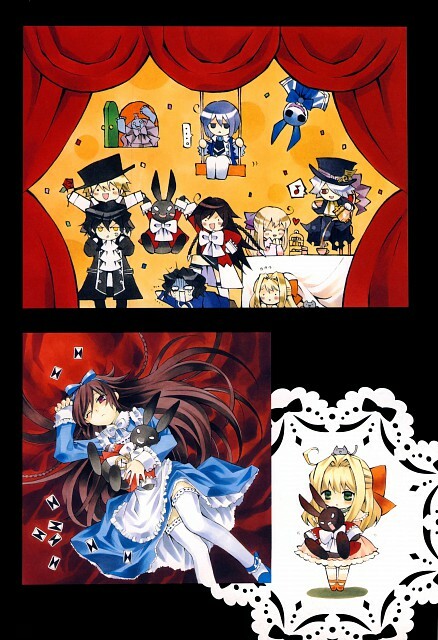 D; why all Japanese love alice in wonderland? such a cuteu chies ~! tahnks for the lol scan! And looks cuter in anime version! Alice is so, so, so cute, the most kawaii from Pandora Hearts..